The troops cordoned off Gulshanpora area of the town and started door-to-door searches. A large number of troops and police personnel have been deployed in the area. Meanwhile, Indian police and troops have started frisking of people in different areas of Srinagar ahead of second phase of the Indian Parliamentary elections to be held for Srinagar constituency (comprising Srinagar, Budgam and Ganderbal districts), tomorrow. 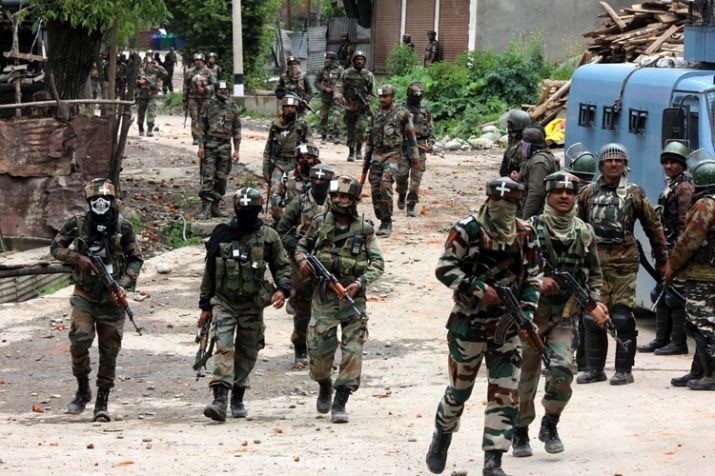 The forces’ personnel have set-up checkpoints in Nowgam, Hyderpora, Chanpora, Maulana Azad Road, Batamaloo, Jahangir Chowk, Bemina, Rambagh, Nishat, Magermal Bagh, Khaniyar, Qamarwari, Parimpora, Cement Kadal and several other areas of Srinagar where people and their vehicles are being thoroughly searches and frisked.